It is about three years ago, on 8 March 2014 , that Malaysia Airlines Flight 370, a scheduled international passenger flight, almost miraculously disappeared when it was flying from Kuala Lumpur International Airport, Malaysia, to Beijing International Airport The aircraft, a Boeing 777 departed at 00:41. and last made voice contact with air traffic control at 01:19 MYT, when it flew over the South China Sea. Less than an hour after takeoff it disappeared from air traffic controllers’ radar screens at 01:22. Malaysian military radar continued to track the aircraft as it deviated westwards from its planned flight path and crossed the Malaysian Peninsula. It left the range of Malaysian military radar at 02:22 while over the Andaman Sea, 200 nautical miles (370 km) northwest of Penang. The multinational search effort for the missing aircraft was the largest and most expensive in aviation history. 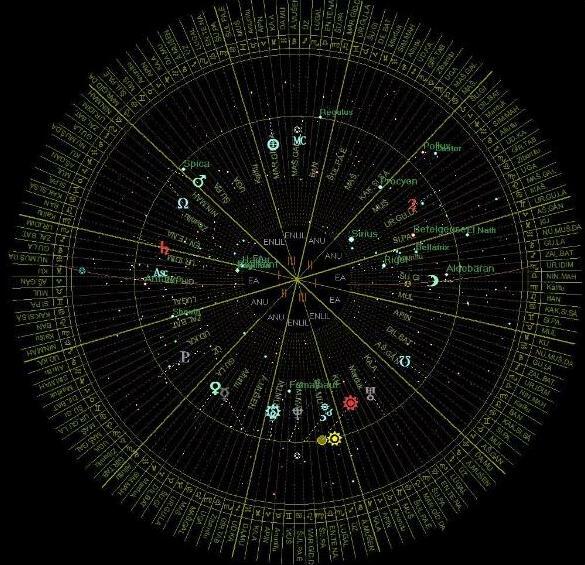 The Horoscope of take-off flight 370: Kuala Lumpur – March 8th, 2014 at 00:41 The chart of the take-off, and a picture of the sky is of particular interest: The first quarter moon is exactly at the Western horizon above the Fixed Star Aldebaran, one of the four Royal Stars. In the East, there is Antares, another Royal star which was, at take-off exactly conjunct the Ascendant. Both stars are distinctly Martian in character and traditionally presaged dangers of fatality, especially when they were in contact with the Moon. Hydra, the water snake with the Alpha star Alphard is on the MC, which, GRUZ, traditionally is the indicator of the fate of the flight. The stars in the water snake were, in ancient astrology, indicators for difficulties or even tragedies that affect the sea and shipping. Also of interest is the fact that the 8th of March, is the day that the constellation GRUZ, the Crane, with the Alpha star Alnair, at sunrise, heliacally rises at the Eastern Horizon above Malaysia. It also happened to be that. 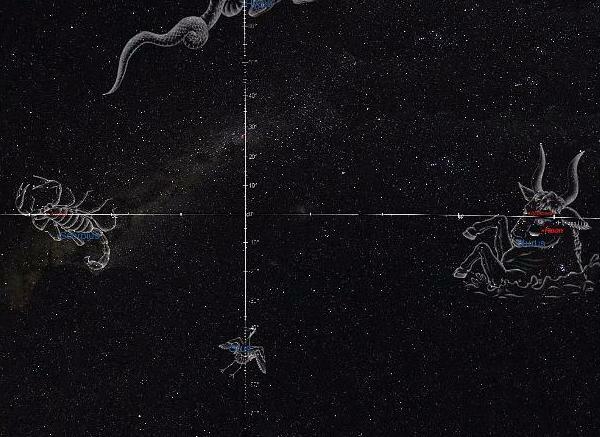 at take-off, this constellation was at the IC, the deepest place of the horoscope. The Crane is a bird that can reach very high altitudes and, when Alnair was with Mars, Ptolemy warned for falling from horses or from high altitudes. 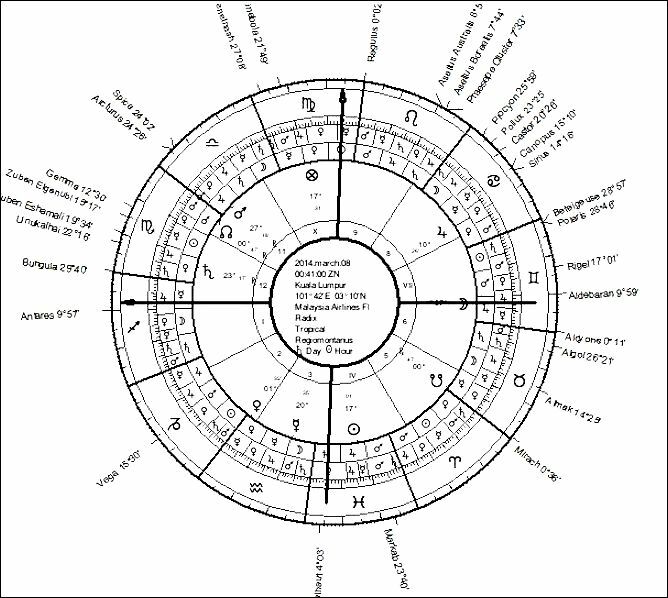 In this horoscope, here is no contact between Mars and the star but there is a paran of Alnair with two stars of a Martian temperament, Antares and Aldebaran. 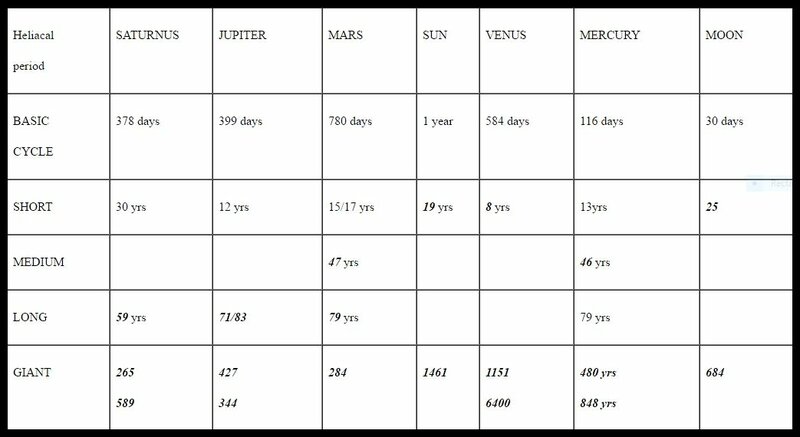 It becomes even more interesting if we employ a Mesopotamian approach and project the chart onto the Babylonian astrolabe with its 36 decanates and rulers of the sky. The ascendant is in the decanate ruled by GIRTAB, or Isharra which, in Mesopotamian astrology, is the ruler of life and death. The sign of Scorpio itself is ruled by EA, one of three supreme gods that rule the world. The god AN rules the Sky, ENLIL everything between he Earth and the Sky, and finally EA, is the god that rules the oceans and the underworld. The planets Mars and Saturn are in a phase of morning station which is strengthening their malefic character. In this case, although it may be a co-incidence, there is no denying that, at the very moment of take-off. there was a huge violent cocktail unfolding above the skies of Malaysian Antares and Aldebaran are on the horizon. Hydra culminating and GRUZ on Nadir. 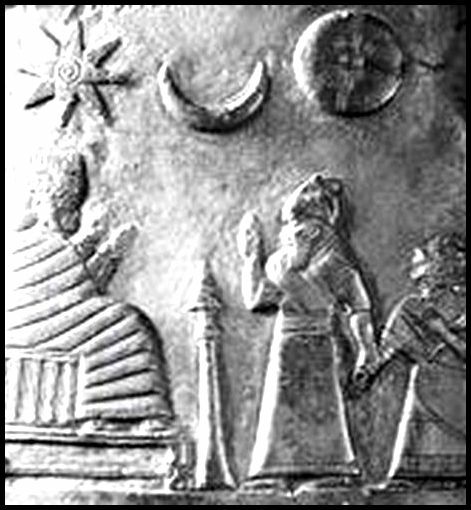 The sky projected to the Babylonian astrolabe: 2nd decanate GIRTAB ( Isharra) rising and the sign of Scorpio ruled by EA, the Super god of the Oceans.